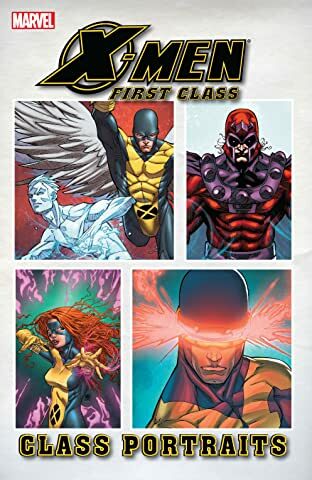 Collects Cyclops #1, Ice Man And Angel #1, Magneto #1, Marvel Girl #1, and material from Spider-Man Family #8-9 and Marvel Comics Presents (2007) #3. 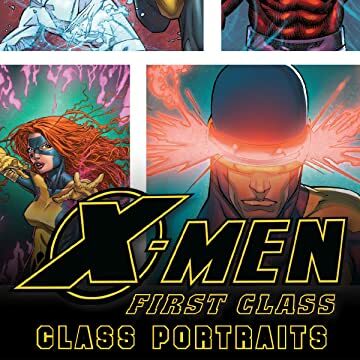 Untold tales of the X-Men's First Class! Scott Summers: Team leader, always helping people in need. Also: Never happy! Maybe a visit from Batroc the Leaper and the Circus of Crime can shed some light on what makes Cyclops tick! Nothing ruins spring break faster than a giant monster stomping through the streets of the city. But what are Iceman and Angel to do when all the "real" super heroes are too busy to help? Before the Brotherhood, before his greatest battles with the X-Men, there was a man named Erik Magnus, gathering mutants to join his cause. Does the young Magneto have what it takes to build an army? When Jean Grey's best friend was tragically killed in a car accident, her strange psychic powers appeared. Now, alongside four other gifted youngsters, she must learn to master her mutant abilities - before they destroy her! Plus: untold tales guest-starring Spider-Man, the Thing, the Hulk, Quicksilver and the Scarlet Witch!